The Wicklow 200 is a non-competitive one-day cycle ride that takes place every June and attracts over 3000 cyclists from many different countries. Established in 1982 the Wicklow 200, as the name suggests, covers over 200 kilometres around Co. Wicklow, taking in most of the famous hills that have made Wicklow a major international cycling destination over the years. The shorter Wicklow 100 Challenge takes place on the same day, and shares most of its route with the Wicklow 200. 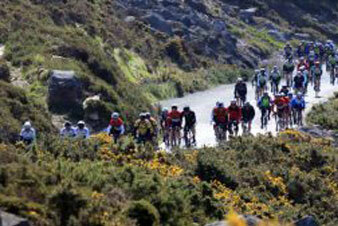 The Wicklow 200 is famous for its relaxed, friendly and welcoming atmosphere and superb organisation. The event has been organised each year since it started in 1982 by the Irish Veteran Cyclists Association.